What N-Hance Franchise Opportunities Are Offered To Me? Marketing can be one of the most overwhelming aspects an entrepreneur faces on the way to getting a new business off the ground. Resources, especially at the beginning, are precious and need to be spent wisely in order to generate the most return. In order to address this head on, N-Hance has developed one of the most robust marketing support platforms in the franchise industry. N-Hance entrepreneurs are provided with a full suite of marketing tools, comprehensive training and ongoing guidance to help your new business grow and prosper over the long-term. Because N-Hance offers franchisees a fast ramp-up to begin operating your new business, our marketing support begins as soon as you sign the franchise agreement. What truly makes us a unique franchise system is that our support continues for as long as you remain with the N-Hance franchise family. Upon signing your franchise agreement, N-Hance will begin your training in earnest. You will be assigned to a Quick-Start Coach who will help you through the first year of getting your business established. This begins at N-Hance University, which is an online, mobile-friendly platform that hosts dozens of hours of training webinars and videos that includes programs focused on marketing. This tool is extremely important, as it is often updated, and you will continue to use it not only to stay on top of the latest best practices, but also to train your team on marketing strategies as you grow. During your weeklong training session at our headquarters in Logan, Utah, your Quick-Start Coach also will help you to create a marketing plan designed to specifically to be effective in your area. The marketing collateral such as brochures, postcards and mailers are updated on a consistent basis, and we will counsel you as to when to send your materials out in order to be most effective. N-Hance is proud to report that because we’ve grown so much in recent years, we’ve created a national ad fund focused entirely on growing nationwide brand awareness. 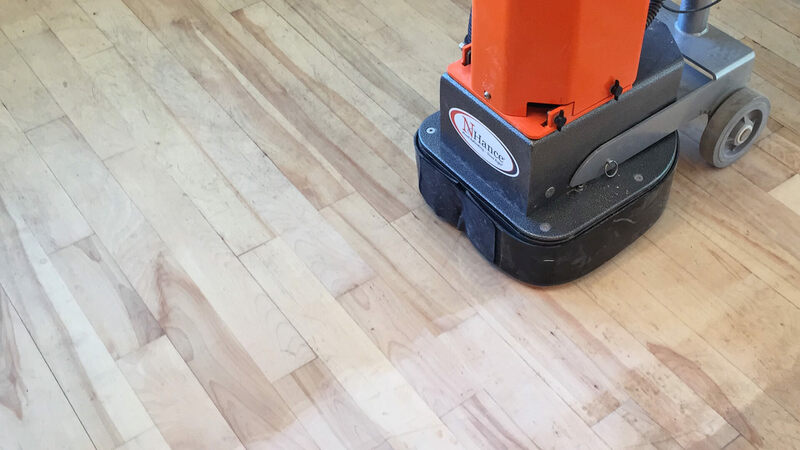 We work with our franchisees to develop meaningful television, radio and print advertisements in order to help your community know that your business is the one to trust for wood refinishing services. Our national ad fund runs commercials on DIRECTV and cable on stations including HGTV, DIY, Food Network, Cooking Channel, Travel Channel, TLC, Destination Country, Bloomberg, CNBC, CNN, Fox Business, Fox News, Headline News, MSNBC and The Weather Channel. 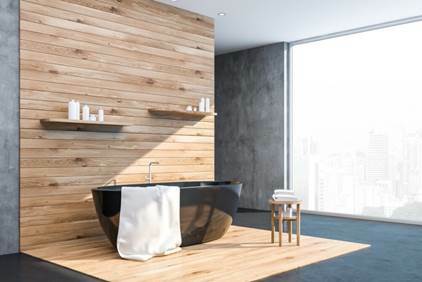 In addition to television, N-Hance also publishes advertisements in in national magazines such as Beautiful Kitchens and Baths, Do It Yourself magazine, HGTV Magazine and many others. 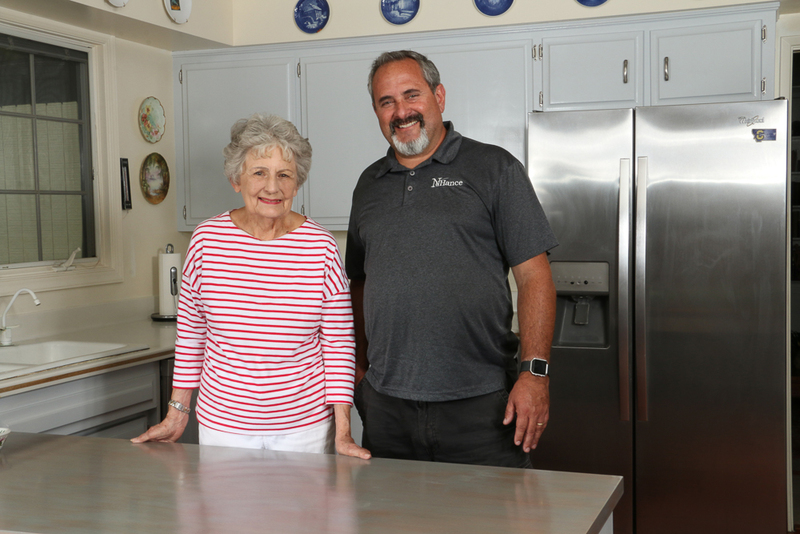 Recently, N-Hance public relations efforts have won us positive press in outlets such as Good Housekeeping, Martha Stewart Living and HGTV Magazine. Perhaps there is no better immediate advertisement for your new business than the marketing collateral set up for you at your local Home Depot. 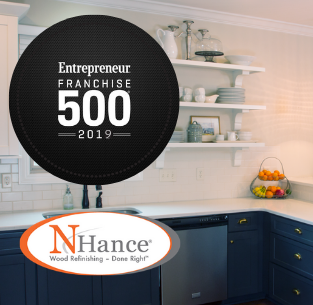 N-Hance is the only wood refinishing franchise that boasts an exclusive relationship with The Home Depot, getting you plugged into to your local stores as soon as you return from training. The Home Depots extensive foot traffic, combined with a level of trustworthiness with being associated with The Home Depot, will help you drive sales to your new business.